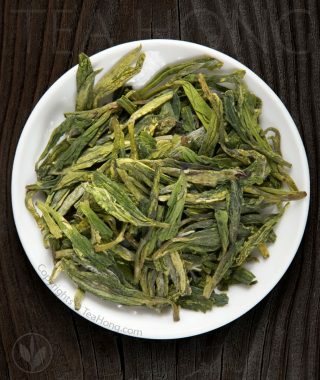 Longjing: is Earlier the Better? 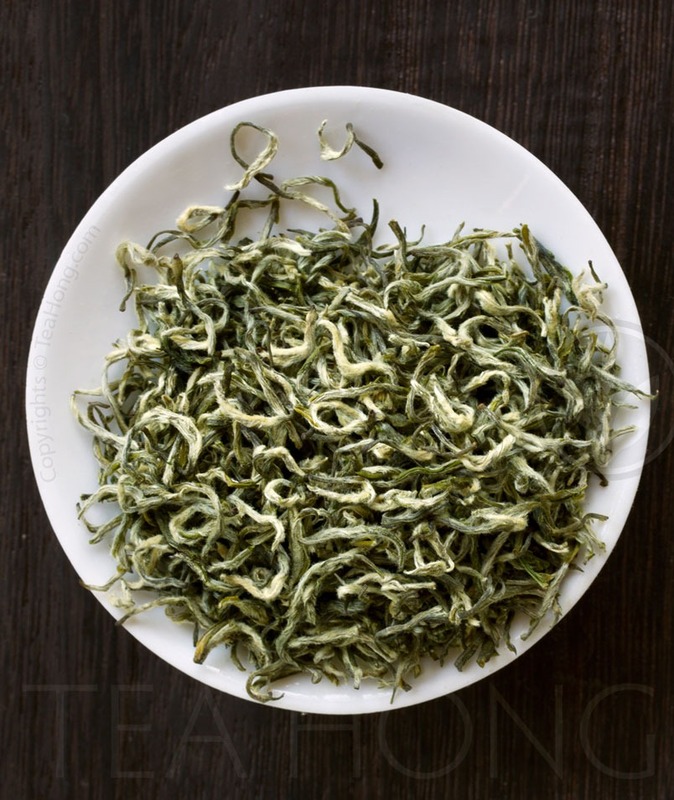 Tea Log > Nature of Things > Longjing: is Earlier the Better? The first flush of a green tea is the best. Somehow this idea got distorted to have become the earlier a tea is, the better. Really early green teas can now be fetching thousands of USD a kilo and the market seems to have an insatiable demand for it. The earlier teas just become more expensive each year. Is the earlier really the better? 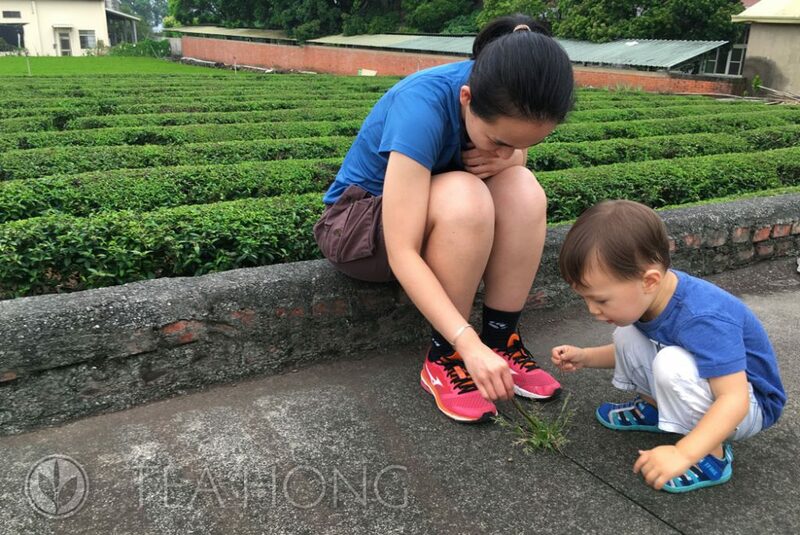 As to when a Longjing — aka Dragon Well, the famous green tea of Hangzhou — hits the market, there are many decisive factors other than the weather. Different cultivars give out young leaves at different time. These leaves grow in different rate. An earlier spouting one does not necessarily mean one that is the tastiest. 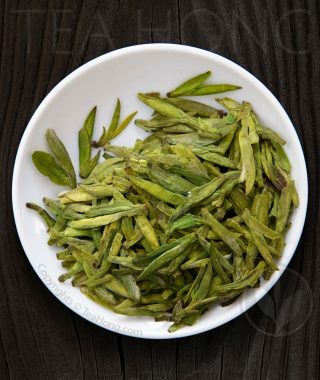 As a matter of fact, there are early spouting cultivars that are not related to the Longjing cultivars employed for making Longjing lookalikes. 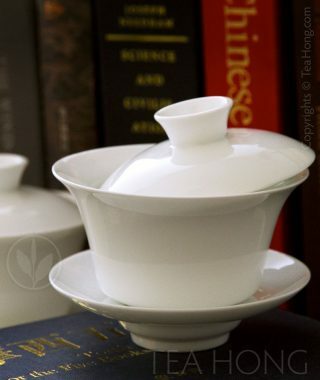 In Yunnan, Sichuan, Guaizhou, Guangxi, Guangdong and Jiangxi, many tea plants spout earlier than in Hangzhou. Some as early as February while it is usually late March in finer subregions in Hangzhou, sometimes even later. Merchants use that gap to their advantage and haul the imitation productions from these other regions to Hangzhou while the proper product are not even shooting young buds yet. Even some wholesalers and importers can be fooled. That is why many shops all over the world can be selling imitations without knowing it. In the same hill or mountain, bushes of the same cultivar flush earlier or later dependent on which part of mountain they grow in. Those in the unshaded area in lower altitude that is the warmest may yield the earliest. Those high in the east side of the mountain and that maybe shaded after 2 pm may bud later in the year. I think the earlier tea from this mountain is certainly not the best. 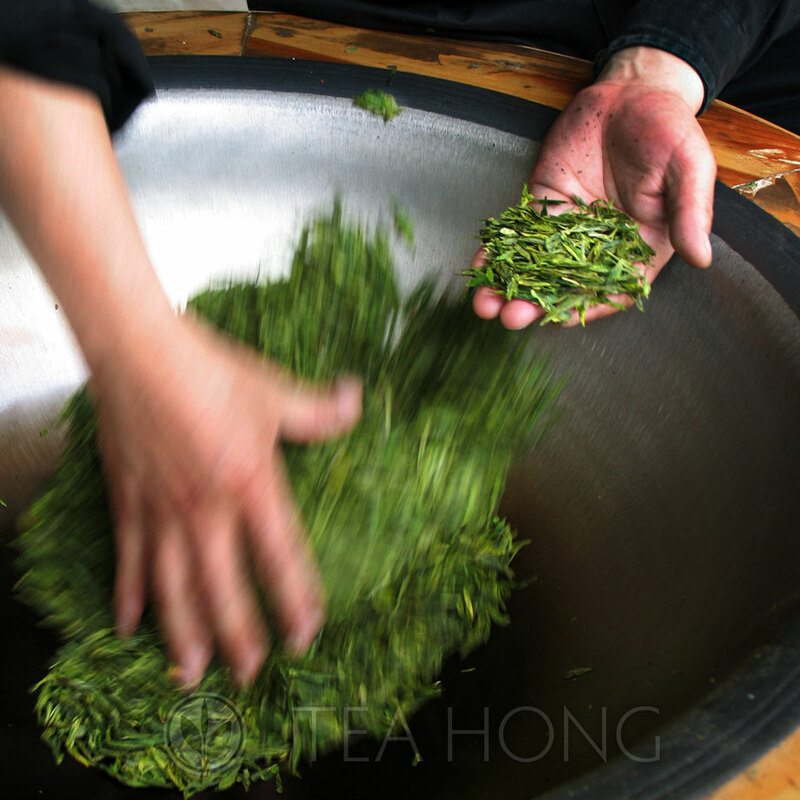 The leaves from almost any other tea cultivars can be flat roasted like a Longjing. The taste can be entirely different. Two days ago in a small, remote green tea farm, the old tea master proudly showed me in a rusty litre size tin the leaves that was his own daily tea. Old, over-grown leaves roughly dried and aged for a year. This is the real good stuff, he said. No heat evil to cause itchy throat or mouth ulcers, he said. Those nice looking green colour new tea for selling, this ugly old tea for drinking. Ugly on the outside, good on the inside, like me, he emphasised with a big laugh. Indeed, a green tea not rested enough does not even show its true taste. 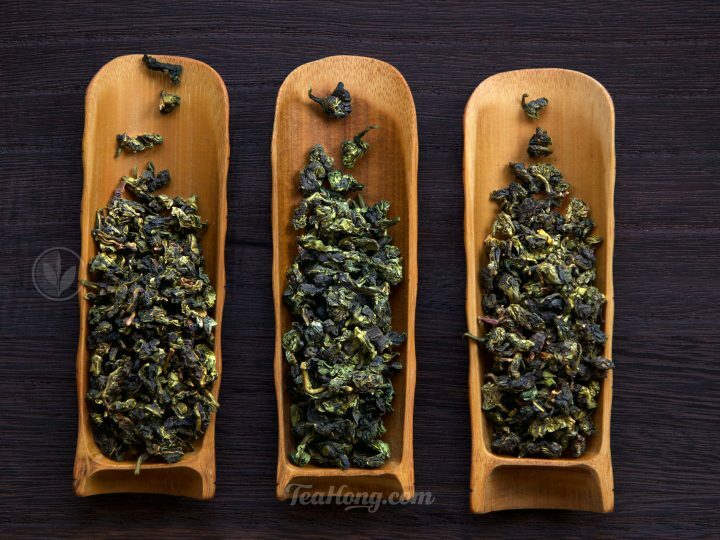 Like a off the wok tempura or fresh from the grill steak, a freshly roasted or baked green tea is not ready to serve. 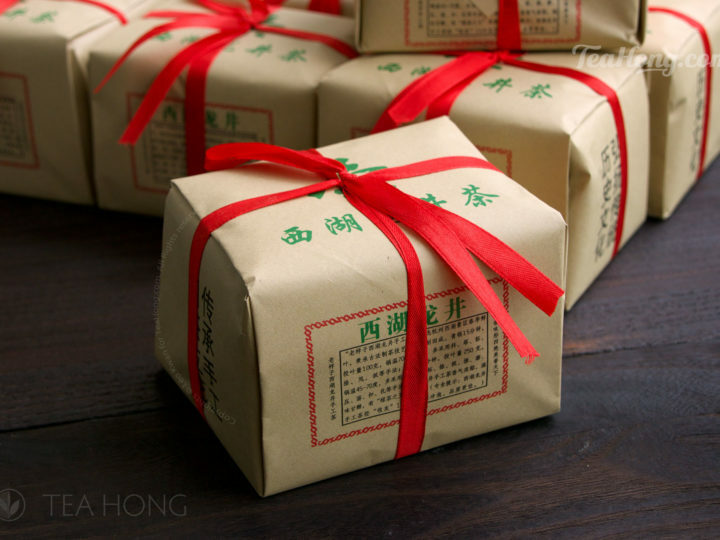 Not only does it have an unstable and hotter TCM nature, but also not as balanced and complete in its taste. It needs to be rested. 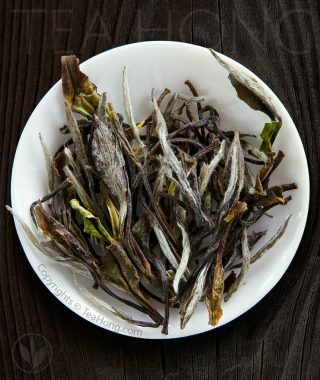 Dependent on the manner it is heated, its leaf thickness and its unique processing, a green tea needs between two to six weeks of resting to reach optimum freshness and taste balance. 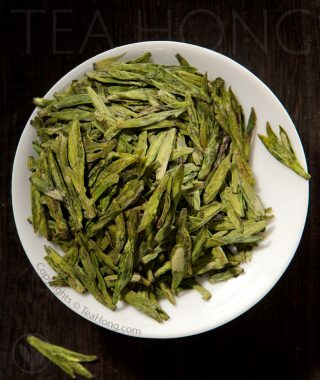 Our Longjing Spring Equinox has been rested for three weeks before release. What other merchants do is up to their knowledge and conscience. 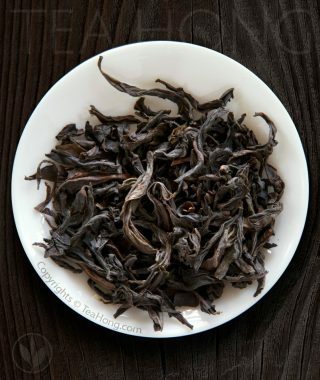 Some even purposefully under-dry the leaves so it is not too roasty when sold. That tea will deteriorate much sooner due to excess moisture inside. So you see, an earlier tea is not necessarily a better tea. Most of the time it really is not, and certainly over priced. 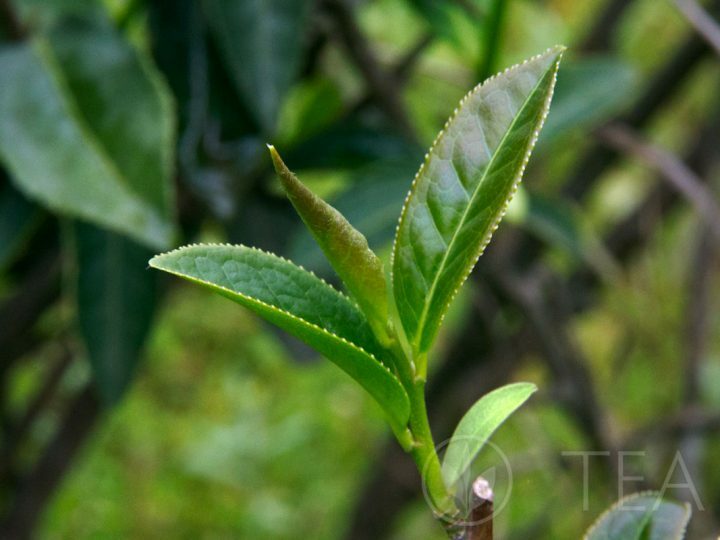 How to Read a Tieguanyin Tea Leaf?